We were delighted to co-host the launch of the Lancet Global Health Commission on High Quality Health Systems with Dr. Margaret Kruk and welcome Commissioners to Boston. Across the globe, the need to improve healthcare quality is becoming more and more apparent every day. In a typical village in India, your chance of getting care that is unnecessary or harmful is greater than the chances that the care you receive will help. As we push towards universal health coverage (UHC), ensuring that the care does more good than harm is critical. And right now, that happens far too infrequently. While we all agree that quality is important, there are key issues that need to be addressed, such as how best to define quality, measure and ultimately improve it. This is why the Commission is so important. While we have made tremendous progress on answering these questions in select high-income contexts, understanding how this plays out globally is largely unknown. 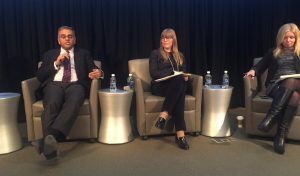 During the launch event, our HQSS Commission colleagues posed the question of whether we should look to the US as a model for understanding and improving quality. The question was a surrogate for a broader notion: how much can low and middle-income countries learn from wealthier ones? 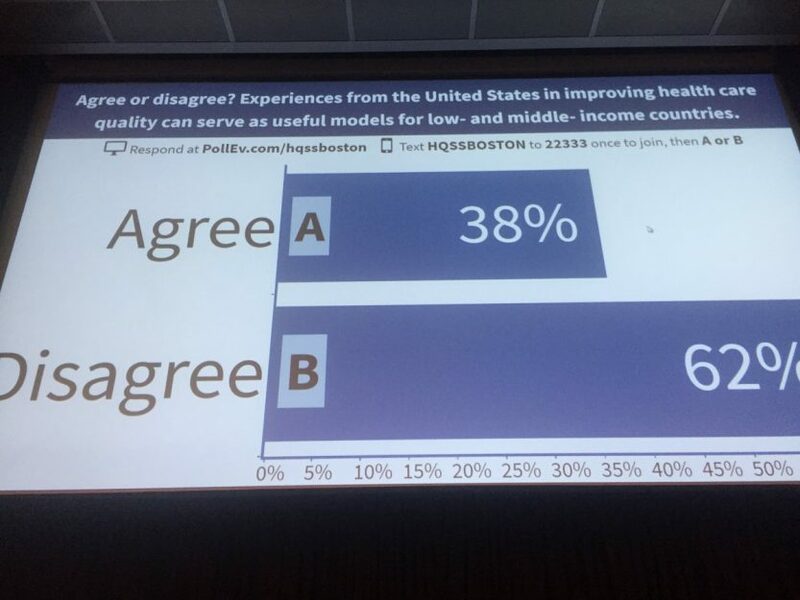 While the audience was mixed in its response, the question gets at an important issue – we need to think about quality with greater nuance than simply “high income” versus “low and middle income”. The truth is that there are large variations in resources, capabilities and functioning of health care systems within countries. A large, private hospital in India, for instance, probably has more to learn from a similar hospital in Boston than it does from a rural hospital in Pakistan. The key here is to worry less about income and resources at the country level as the defining principle to organize around quality and instead, focus on the underlying principles. People everywhere, whether in rich or poor countries, want high quality care and, in general, they want the same things: they want care that is effective, safe, and delivered with dignity and respect. We must use every opportunity, whether it is in Boston or Botswana, to learn how to do this better. This is a critical moment in global health – with sustainable development goals coming into focus and UHC gaining momentum. These are good things. But in order to make real progress in improving human health, quality is the next frontier to tackle. And on this issue, no matter where you live, we’re all in it together.